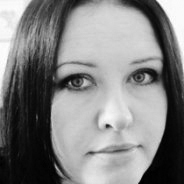 Kaye has over twelve years of games industry experience, working as an artist, Lead Artist and Art Manager for Infogrames, Sony, Acclaim & Blitz Games. Her title history includes diverse titles such as GTA2 (Take 2), the Premier Manager series (Gremlin), Colony Wars: Red Sun (Sony), Formula 1 (Sony) and most recently the Bratz series (THQ) and The Encleverment Experiment (Blitz), with experience in computer game development for the PS1, PS2, Dreamcast, GameCube, Xbox, Xbox360 consoles, the PC and the Wii. Her skills lie in the creation of 2D and 3D graphics for game engines, particularly in character modelling and texturing in Maya and Photoshop, as well as many other aspects of game development and games as a cultural phenomenon. She has a keen interest in the subject of Women in Games: This includes women as gamers, women as game developers and the portrayal of women in computer games; and an active campaigner for the recruitment of more women into technology and media careers. Kaye’s paper The Virtual Toy Box was published at Dundee Abertay University in 2005 as part of the Women in Games conference, where she now part of the steering committee and organizing the WIG 2010 conference at the University of Bradford. Edge-online voted me to be one of the “100 Most Influential Women in Games” as well as #61 on their list of “Hot 100 Game Developers of 2007″. Find out more about Kaye at scim.brad.ac.uk/staff/?u=klelling&p=f and on Twitter as @k_0.